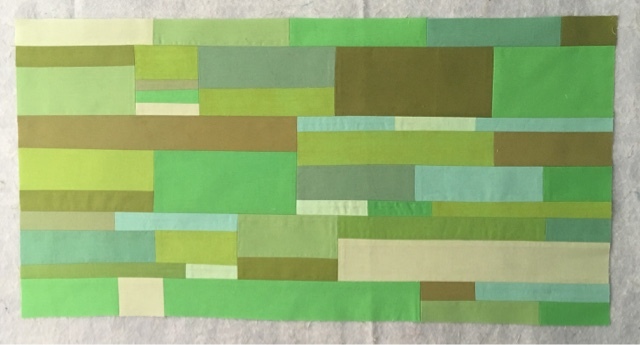 My one big block measuring 13"x25" inspired by beautifully serene Naramta was wonderful to create for Felicity. You can read all about the challenge this month on her bog post here . There's been a lot of blue in my work lately so I chose to go for green "greenery" instead. 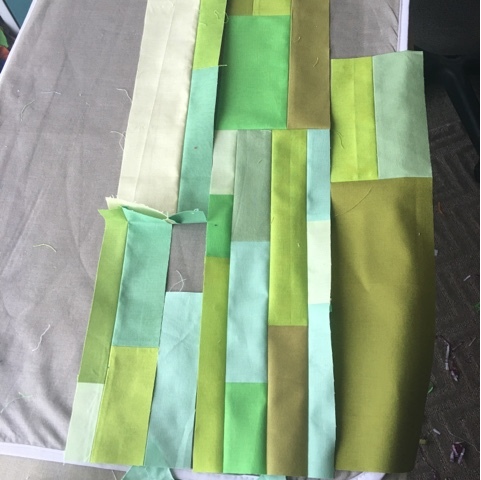 I wanted to use a large variety of greens and many sizes for the horizontal rectangles. The guidelines were straightforward however achieving the desired composition and vibe took quite a lot of manipulation. Several times it got tricky balancing to avoid high contrast and squares but I feel like I pulled it off. The block was sent and received and now that she has all of her parts I can't wait to see how they all blend together. 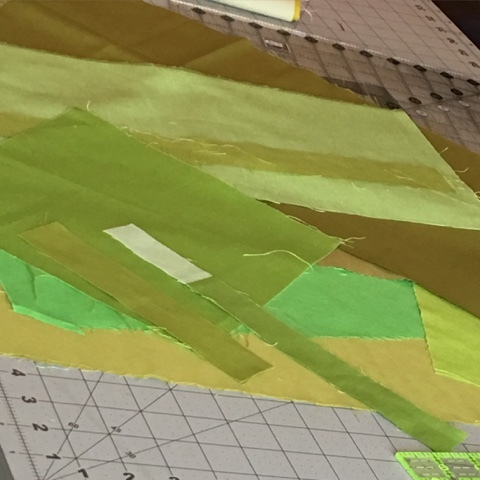 Check out #beesewcial and #inspiredbybeesewcial on Instagram to follow her progress. Looking good! I'm looking forward to this quilt finish! This is really pretty, even all by itself! I love seeing what you and your talented improv piecers come up with to turn into modern quilts. The colors are always wonderful, just like this one.